If you love to play Candy Crush or shop online, then the Micromax Bolt Q339 is an ideal phone that doesn’t burn a hole in your pocket. If you want a phone that delivers a power-packed performance, this Micromax Bolt is a wise choice. 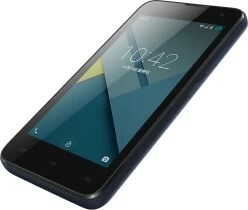 The device features a 1.2 GHz Quad Core processor and 512 MB of RAM. It runs on the user-friendly Android KitKat 4.4.2 operating system. Whether you love to play games or browse online articles on your phone, the 11.43 cm (4.5) FWVGA display of this Micromax phone is just perfect. 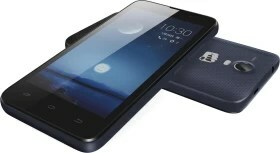 This Micromax smartphone features a 5 MP rear camera and 2 MP front camera. The rear camera is equipped with a flash. This phone comes with 4 GB of internal storage space, out of which 2.5 GB is user-accessible. Want more space to store your favourite multimedia files? Pop in a 32 GB external microSD card and add more space easily. The Q339 comes with a variety of connectivity options such as Bluetooth, Wi-Fi, 3G, micro USB and Dual SIM support.